Three Songs in 3/4 EP released today on iTunes . SPECIAL LA SHOW WITH POWERPALOOZA THIS SUNDAY 4/20! . FREE SHOW! FREE BEER! FOR MORE INFO, CLICK HERE! I’m so excited to be the guest on this special 4/20 edition of Powerpalooza!! Powerpalooza is what happens when the comedy groups Hey Pal and Power Up join forces, with a special guest comic – in this case, me – to provide material to improvise from. I will be playing some songs and telling the stories that provoked the songs (which makes this a rare event for me, in and of itself!) 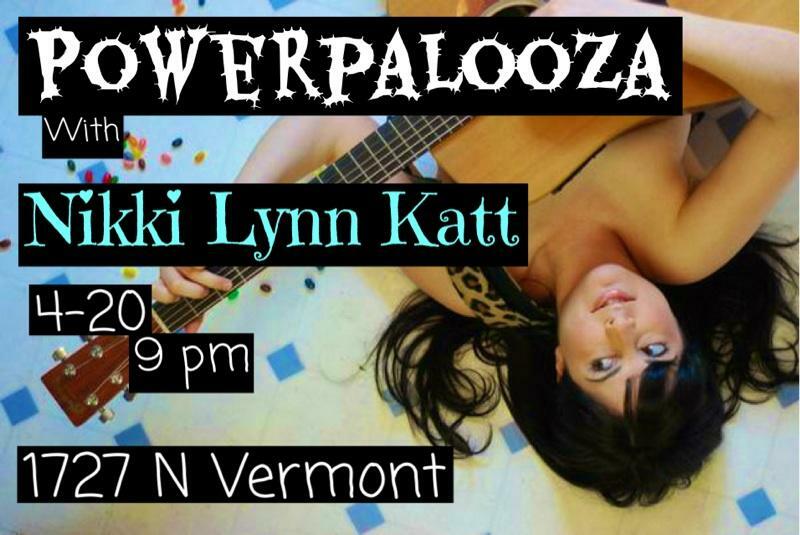 Powerpalooza is a very special night and I’m very excited to be a part of it – so don’t miss it! BLOW YOUR MIND: MY ONE-HOUR COMEDY MUSIC SPECIAL LIVE IN SYDNEY ON FRI. NOV. 22! . NEW “DANCE YOUR HATE AWAY” ALBUM SUCCESSFULLY FUNDED ON KICKSTARTER! . I’m so excited that my long-time fans and brand new fans have come through to successfully fund the making of my new full-length comedy music album!! The album is entitled “Dance Your Hate Away”. It’s a comedy pop music album, inspired by electronic dance music. But don’t worry, I will still rock you and make you laugh! I’m working with some very talented people and we are working hard on bringing you a feat of sonic and comedic wonderment in March of 2014! Thank you so much to all of my backers on Kickstarter! You guys made it happen and I will be eternally grateful! New music coming your way SOON! “YOU POKED ME AND NOW I LOVE YOU” VIDEO! . Check out the video for my new song, “You Poked Me and Now I Love You”! You can buy my new single “You Poked Me and Now I Love You” on iTunes here!Â A new video to accompany the single will rock your world shortly… xo!